I have always been inspired to stand out with colors and prints that make me happy. It’s something that I can attribute to growing up with such a colorful family. 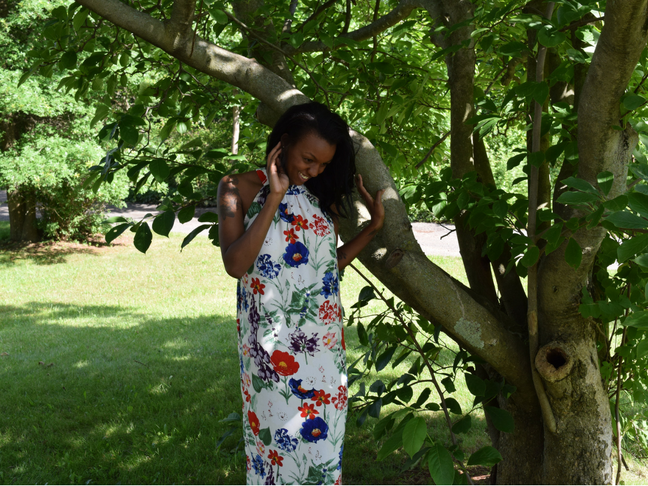 I grew up seeing exotic colors in the flowers that my parents planted, bold flavors and colors in the food that we cooked and of course statement pieces in the clothes that we’d wear. A long floral dress, comfortable statement sandals, a stone washed denim jacket and my favorite pair of cat eye sunglasses. What does your typical day look like and how does Le Tote fit in? I start my days early with my husband Scott and our 2-year-old son Hendrix. We spend our mornings chasing Hendrix around, while getting ready for work and daycare drop off. Le Tote makes my mornings a lot easier because I don’t have time to try and figure out what to wear. 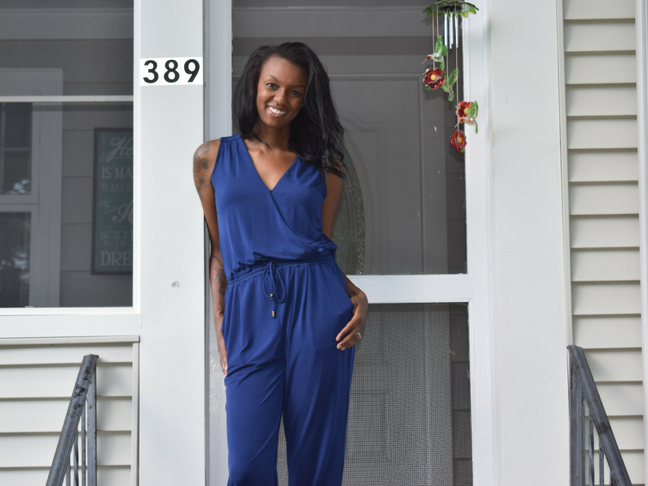 I opt for effortless outfits that show my personality and easily transition from work to play. I also love that Le Tote helps me with curbing my spending habits. The app is so fun to use and makes me feel like I’m actually shopping when I’m really just paying a monthly fee. Has your style changed since you became a mom? I was a stay at home mom for the first 15 months and it was an incredible yet demanding experience. I definitely focused more on my family than myself and would wear my go to uniform: black leggings and a t-shirt. There was definitely a moment when I was ready to define who I was a new parent and that involved taking care of myself again. Since making that conscious choice my style has evolved to be more confident and bold because that’s how I want my son to see me. What is your supermom secret to getting dressed quickly? Hendrix is in a phase where he wants to mimic everything so we all get dressed together. He’s already a sneaker fanatic so that finishing touch is his favorite part about getting dressed. 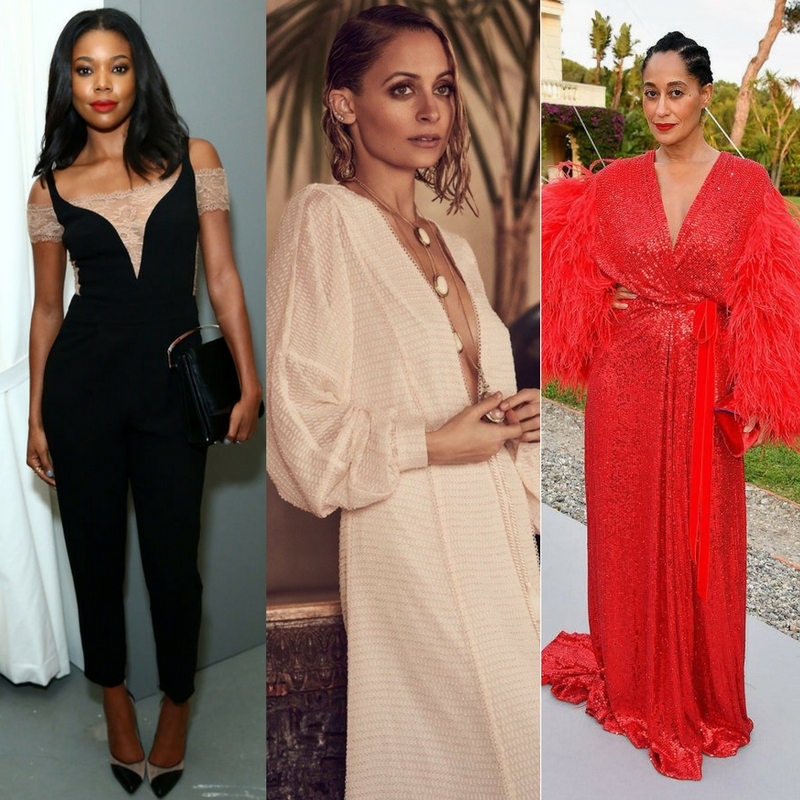 I live for Gabrielle Union, Nicole Richie and Tracee Ellis Ross. Which fashion trend do you wish never dies? Floral prints! One of my coworkers recently called me a “zen garden of cool.” I buy myself flowers every Monday and am surrounded by them at work. I generally gravitate to floral prints for statement skirts, dresses and even jackets. And which fashion trend do you wish was never born? This is so random, but Jelly shoes creeped me out! They did when I was younger and when they came back again a few years ago I really couldn’t stand them! Haha!